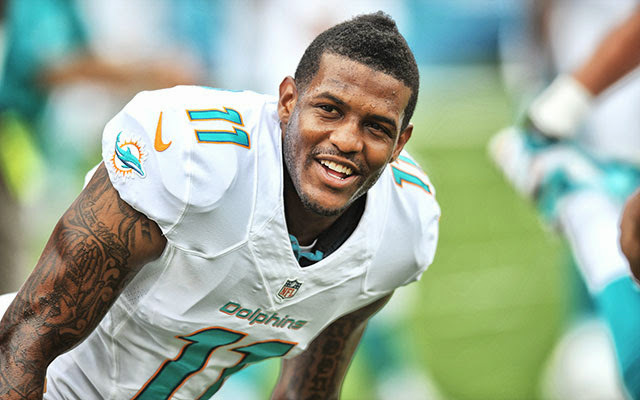 When the Miami Dolphins ponied up 60 million dollars for Mike Wallace's services for the next 5 seasons they knew what they were getting and that is a play maker who can stretch the field. Despite his ability to make big plays the former Pittsburgh Steeler has been very inconsistent compiling only 3 games of 100 or more yards this season. The most alarming stat for Wallace is the amount of TD's he has accumulated thus far. Throughout the course of his career Wallace has never scored less than 6 touchdowns, he currently has 3 touchdowns right now which would be a career low if the season were to end today. 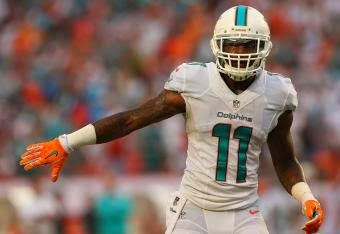 It goes without saying that the Dolphins are going to need Wallace to make big plays as they are set to play the division rival Patriots, Bills, Jets to close out the season in the middle of a playoff chase for the last wild card spot in the AFC. In terms of the level of passing defense Wallace will face over these next few weeks its everywhere. The Bills (6th), Patriots (16th) and Jets (24th) are all different calibers of pass defenses but Wallace needs to come up huge in order for the Dolphins to make the playoffs. Wallace has been playing better lately though as he has collected at least 5 receptions, 80 yards and 1 touchdown in 2 of his last 3 games. 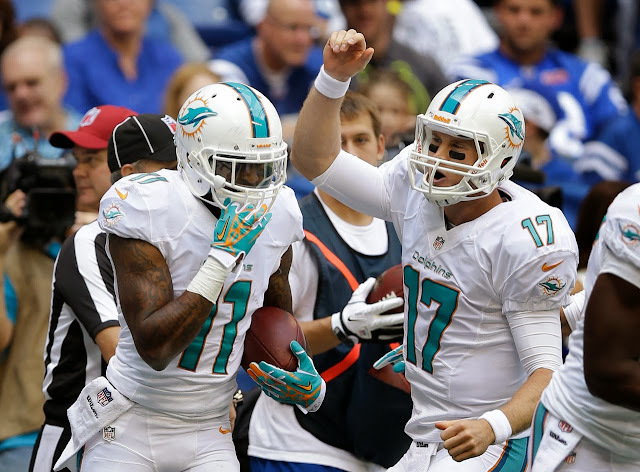 Ryan Tannehill seem to have been developing more chemistry as the season has gone along and hopefully the best has yet to come for Wallace in a Dolphin uniform. His first test comes in the form of the New England Patriots in a big home game this Sunday at Sunlife Stadium. Can Wallace raise his level of play or will he prove to be highly overpaid?